Question: I am unclear on specifics with private mortgage insurance (PMI). 1. Why can the price can range from 80-300 for the same loan amount? 2. How and when does it actually disappear when your loan-to-value is below 80%? For example- does that mean another appraisal is needed or does it go off of the purchase price, and what if you just happened to have an appraisal recently? Answer: Mortgage insurance rates vary from one type of mortgage to the other. Depending on the type of mortgage you’ve taken out, your mortgage premiums will depend on the rate capped on your mortgage type. Various types of mortgages include subprime, nonconforming, and jumbo, among others. PMI heavily relies on the LTV ratio. LTV is the amount of the loan in relation to the value of the home expressed as a percentage. Most mortgagors require the mortgagee to purchase a mortgage insurance cover when the balance on the loan exceeds 80 percent of the home’s purchase price. The table below shows how LTV ratio affects the PMI rate. As a general rule the higher the LTV, the higher the cost of insurance. A $350,000 loan at 85 percent will cost more to insure in comparison to a $150,000 loan at 85 percent. Similarly, a $120,000 loan at 85 percent will cost more to insure in comparison to a $120,000 loan at 90 percent. Mortgage insurance stops at the point when you’ve built 20 percent equity in your home. This is achieved when your LTV ratio has reached 80 percent. To discontinue insurance premiums, you should report to your lender so that they instruct your mortgage insurer to stop charging you mortgage insurance. (a) Borrower-paid PMI- it is the most popular option. 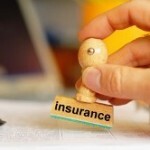 The cost of insurance is added to the mortgage price and the lender pays it in the normal monthly principal repayment. The lender then submits it to the insurance company on your behalf. (b) Lender-paid PMI- the PMI rate is added to the current mortgage rate so that the borrower doesn’t have to make separate payments. Since PMI isn’t deductible, you’ll enjoy interest deductions because it is combined with the mortgage rate. This means that a borrower with a lender-paid PMI is likely to pay a lower amount to the mortgage insurer than the borrower with a borrower-paid PMI. (c) Piggyback loan- it is referred to as a “piggyback” loan because a second mortgage is pinned to the original mortgage and it simultaneously closes with the original mortgage. There are several variations, but many lenders use the 80-10-10 criterion. Here, the borrower can take an 80 percent first mortgage, automatically avoiding PMI. The second mortgage becomes 10 percent and the other 10 percent is cleared as a down payment. The location of a home influences PMI premiums significantly. A home located in a place where the value of homes is consistently declining will be charged a higher mortgage insurance rate or even fail to be covered completely. In some parts of the country, condominiums are charged higher mortgage insurance rates than single-family homes because they are prone to value volatility. The location of a home can therefore cause a significant difference in the mortgage insurance payable on the same type and amount of loan for different borrowers. The credit score of a borrower affects the interest rate on any type of mortgage. The impact can be so huge as to exceed the mortgage rate, resulting in hundreds of dollars of additional expenses. PMI has been designed to protect the mortgagor from default. Even though various ways can be used to structure a mortgage to avoid PMI, a poor credit score may hamper such efforts. Lenders use the borrower’s credit score to gauge the risk of default. Therefore the lower the borrower’s credit score, the higher the PMI rate. This means that two borrowers in the same loan category and amount can pay different insurance costs. The FICO credit score ranges from 350 to 850 and most Americans lie between 600 and 800. A score below 620 qualifies in a subprime mortgage category, which has a higher PMI charge than other types of mortgage loans.